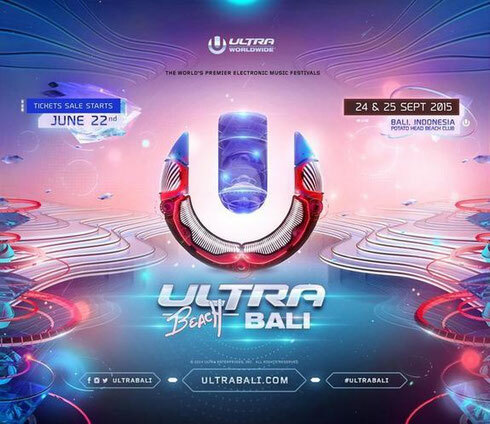 Ultra Worldwide recently revealed further details for its debut edition on the Indonesian island of Bali. Set to grace the shores of ‘The Island of the Gods’ for the first time ever, the event will take place at the Potato Head Beach Club in the coastal town of Seminyak on Thursday 24 September and Friday 25 September 25. With 10000 clubbers expected, Seminyak is apparently home to sophisticated and chic nightlife spots, luxurious high-end resorts, critically acclaimed restaurants and authentic spa retreats. Seminyak offers a blend of traditional Balinese culture and the more modern and luxurious trends and amenities of today. The beachfront location will be soundtracked by some of dance music’s finest exports, in what aims to be an unforgettable experience for all those involved. "We’re looking forward to developing and establishing Bali as THE exotic party paradise of Asia and Australia. In the same way that Europe has Ibiza and Croatia, North America has Miami and South America has Rio de Janeiro, we strongly believe that Bali will be the next international party destination, with Ultra Worldwide paving the way." To complete the experience there will also be exclusive ticket and hotel accommodation packages made available over the coming weeks for fans. Rounding off a mammoth 2015 Asian tour in which Ultra Worldwide will have reached destinations including Macau, Thailand, South Korea and Japan over the coming months, Ultra Beach Bali aims to finish the season in true style. I like the helpful information you provide in your articles. I'll bookmark your blog and check again here frequently. I'm quite certain I'll learn a lot of new stuff right here! Good luck for the next!